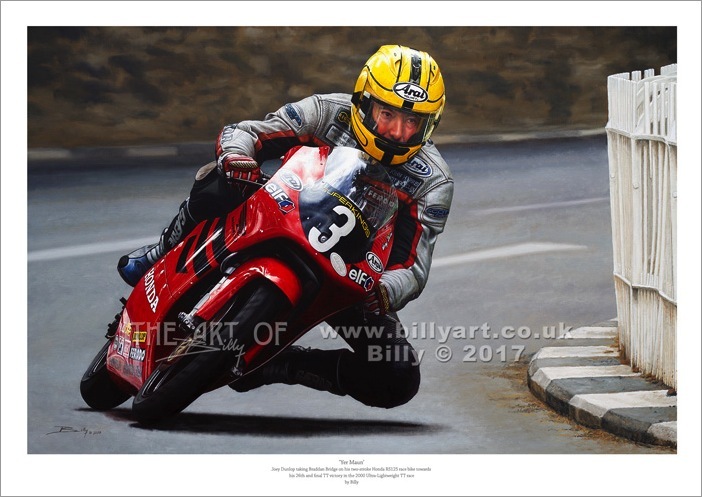 'Joey's 25th' is a Limited Edition Fine Art Print of Road Racing Legend Joey Dunlop - The King of the Mountain - Riding the Payne Honda RS250 exiting Braddan Bridge on the way to his 25th Isle of Man TT race victory. 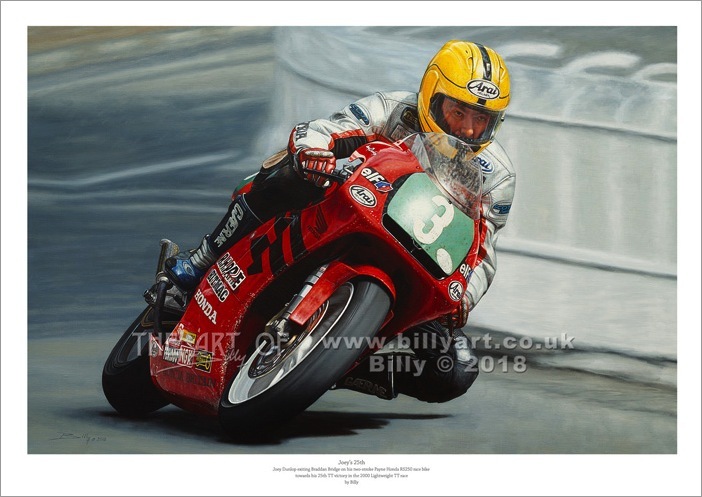 This limited edition print of Joey shows him riding the Payne Honda RS250 two stroke race bike to his 25th Isle of Man TT victory in the 2000 Lightweight TT race, at the age of 48. Prints 1 to 97, 100, 111, 116, 200, 235, 250, 253, 263, 325, 326, 333, 348 and 350 (along with many others) are not available. Detail and Full HD time-lapse below. This is a giclée print on matte art paper using Ultrachrome K3 inks. 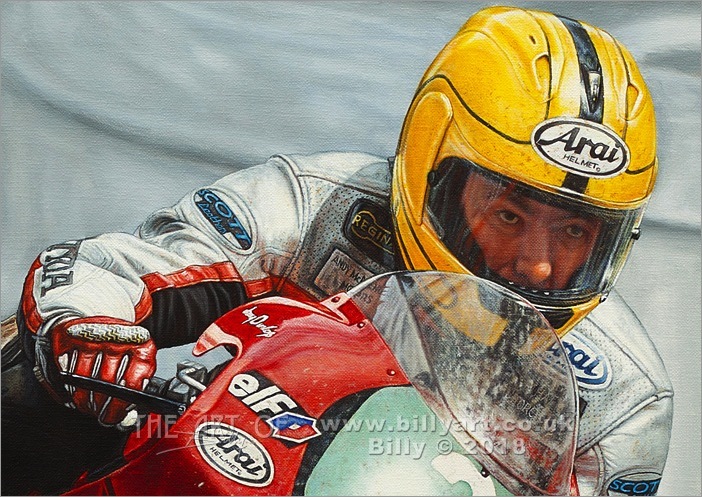 These are affordable fine prints that make great gift ideas are taken from Billy the artist's oil on canvas painting and is emboss stamped and signed by Billy.